We are celebrating Black History Month in Foyles Birmingham with an array of new and exciting picture books, as well as some well loved classics such as I Love My Hair, and My Two Grannies. Every child deserves to see themselves represented in books, and the books below are just a taster of our selection. Izzy Gizmo makes all kinds of amazing inventions. It's a shame they don't often work! But when Izzy finds an injured crow it's up to her to make her new friend some new wings. 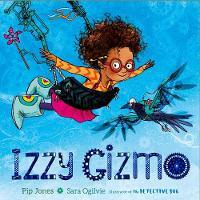 This is a gorgeous picture book about a strong willed and clever young girl who never gives up. Perfect for those fans of Fantastically Great Women Who Changed the World by Kate Pankhurst. This is a special book, with a surprise inside! 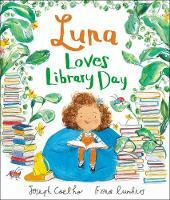 Luna meets her dad at the library and together they read books, go on magical adventures and have lots of fun together, but Luna gets sad when her dad has to leave. Luckily there is a book in the library that makes her feel better. This is a diverse and poignant book about a child living with divorced parents. It shows the close bonds between children and their dads. Perfect for all children, but especially for a child dealing with divorce. 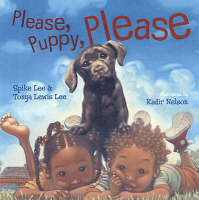 By the author of Please, Baby, Please, comes Please, Puppy, Please. The perfect book to read aloud, it captures the fun and mischievousness of puppies and their partners in crime - if you have children and a puppy, you know this is just what it is like. A feel good book that will fast become a favourite with adults and children. Alfie is a turtle. Nia loves him even though he can't do tricks like a dog, and he's actually kind of boring. Sometimes she even forgets he's there. When Alfie goes missing the night before Nia's seventh birthday she gets very worried. Luckily Alfie knows what he's doing. He's finding her the perfect birthday present! 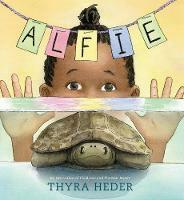 A charming picture book with fantastic illustrations, it's hard not to fall in love with Nia and her adventurous turtle! 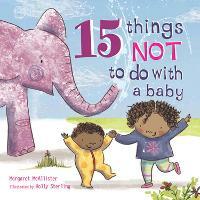 There are lots of things you can and should do with your new baby, but this book is definitely not about those things. If you follow these simple rules you will have a very happy baby brother or sister. A hilarious story about having a new sibling and all the things you shouldn't do... such as send them to play with an elephant. A brilliant story to get the kids laughing, and also great for any child with a new sibling to enjoy together as a family. Find out more about Black History Month and see more books on here.